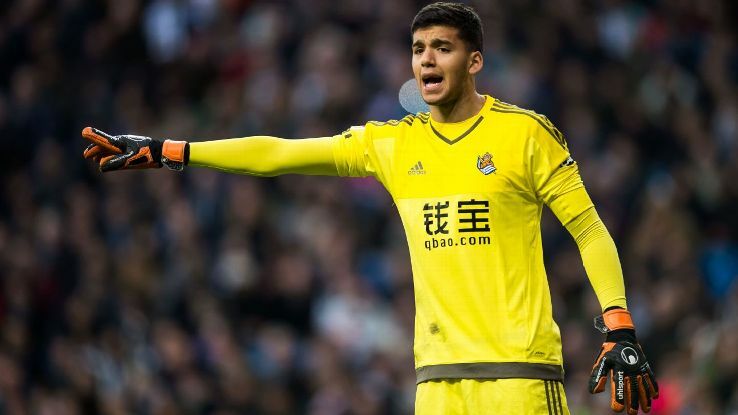 Serie A side Napoli have made a move for Real Sociedad stopper Geronimo Rulli, according to reports. The 25-year-old joined La Real last season on a permanent deal from Manchester City but the English club do hold a buy-back clause, which they have been interested to use this summer. Interest from a number of clubs has since emerged, with Napoli making a move after the season end and whilst they were unsuccessful then – it is reported by Radio Marca, that a new and improved offer has been made. Speaking of the Italian side’s interest last month, Rulli said: “I’m happy Napoli asked after me, as all Argentines know what Napoli and Diego Maradona represent. “But Real Sociedad is my home and I’m challenging for a place at the World Cup. If Argentina qualify, it’ll be a great opportunity for me. I have Russia 2018 in my mind. The youngster was an important member of La Real’s side last season and helped them achieve Europa League qualification.